Tuesday, April 18, 2017, 11:30 a.m. - 1:30 p.m. The novels of New York Times bestselling author Lalita Tademy, a former Silicon Valley executive, have been translated into 11 languages and assigned as required reading for Stanford University freshmen. 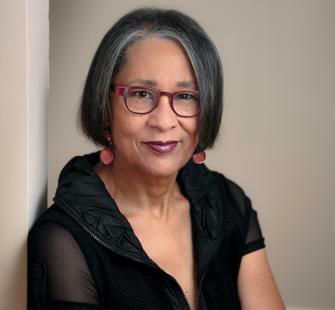 With Maxfield, she will discuss the challenges and rewards of writing historical fiction, and the creative process behind mining her own family’s history as slaves to produce her best-selling sagas Cane River and Red River, as well as uncovering a little known historical dynasty in Citizens Creek. A delicious lunch paired with wine is included in your ticket purchase. Books will be available for sale. Before turning to writing full-time, Tademy was Vice President and General Manager of several prominent technology companies in Silicon Valley, spending more than a decade running business units within large corporations. She was featured in Fortune’s “People on the Rise” list, as well as Black Enterprise and Ebony. But her interest in her family’s roots, and the ongoing issues of racism and women’s empowerment, led her to focus all of her energies on her second career. She has been featured in People Magazine, O Magazine, Good Housekeeping, The Today Show, The Early Show, CNN, and the Oprah Winfrey Show, and has appeared as a speaker for the Library of Congress and National Book Festival, the California Governor’s Conference for Women, African American Librarians – Black Caucus, Professional Businesswomen of California, and the National Association of Principals for Girls.